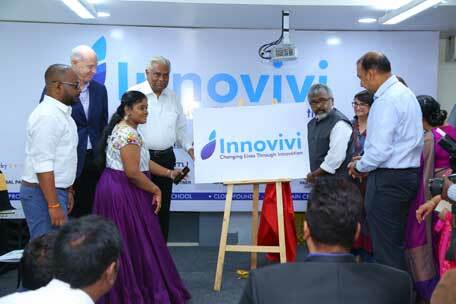 Hyderabad: Innovivi, a Centre of Excellence, established in Hyderabad with an objective to provide a platform to foster innovation and entrepreneurship in a collaborative and enabling environment for a positive impact on the Indian Economy. The innovation hub was inaugurated in the presence of Katherine Hadda, US Consulate General of Hyderabad, Shri K Viplav Kumar, Chairman,Telangana Urban Finance and Infrastructure Development Corporation (TUFIDC), Hyderabad, Shri Navin Mittal, Hon’ble Commissioner of Collegiate Education & Technical Education, Government of Telangana, India and Anjani Kumar, IPS, Commissioner of Hyderabad, Shri K. Padmanabhaiah, Chairman, ASCII and Mr. P.M. Sai Prasad, Co-Founder, Starfish Venture Partners and Advisor, Innovivi.